It was so easy to create the bottle with the new dies. I even used the die to make the wood base from wood grain paper. To do this, I cut the bottle once and cut it again with the bottom of the die moved up. To finish it off, I added a large wood dot from My Minds Eye as the stopper. So cute! 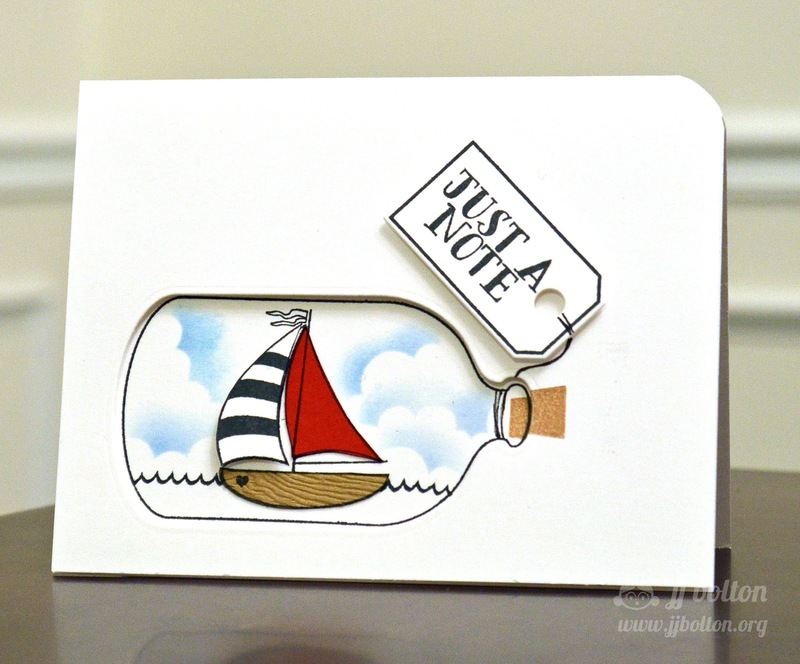 My second card uses the stamps from Knotty to create a ship in a bottle! The ship fits perfectly inside the large bottle stamp. I was going to make a shaker card (which is so easy to do with the dies), but ended up just leaving it open so you could really appreciate the ship. 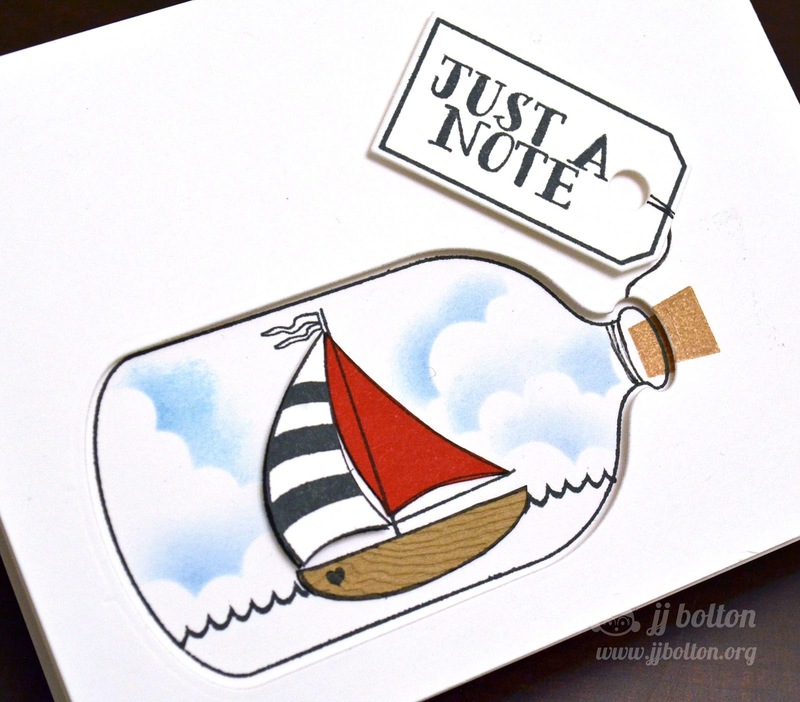 I paper pieced some of the boat pieces to give this simple card a little something extra. 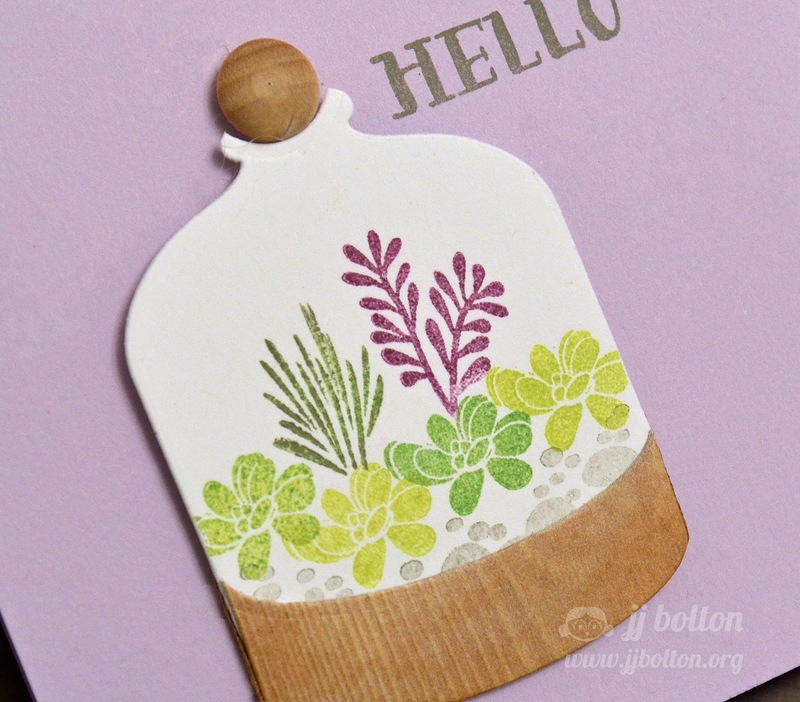 For the sentiment, I used a tag made from a Simply Tags: Everyday stamps and matching die. I love mixing and matching new and old sets! 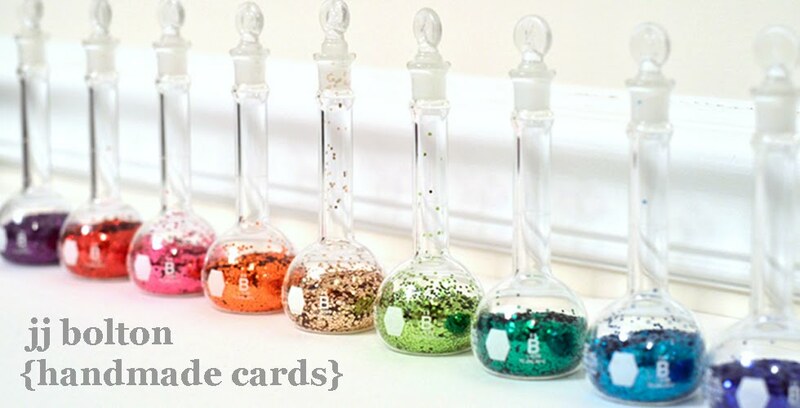 So now that you've seen this set, what are you going to put in your bottles? Thanks for popping in today! Hope you're having a wonderful week! P.S. Stop by Heather's blog today too! These cards are so beautiful! I love how you used the bottle dies in such creative ways!!! =) Thanks for sharing! Both cards are SO cute, JJ. TFS because I bought the stamps and dies and need these ideas and inspiration. The second card is so sweet and cute JJ! I LOVE the clouds in the backround of the bottle! Love these! The woodgrain stuff on the first card adds such great texture and I love all the piecing/die cutting on the second! Both cards are fabulous! Love the clever use of the wood dot as a stopper. Pretty colors too with the lavender background. 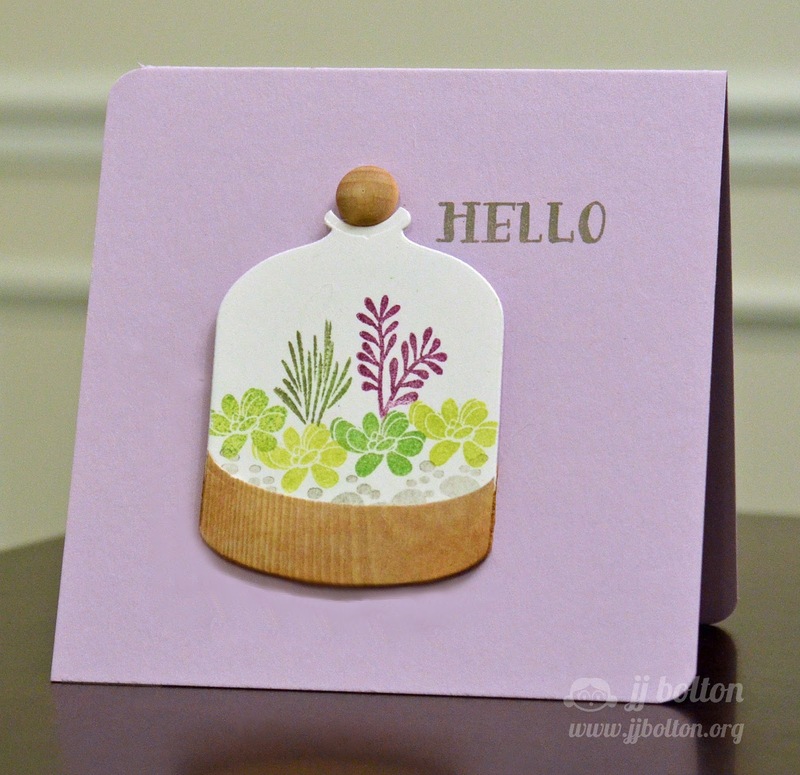 I also love terrariums, and I love how you created yours on your first card! Your woodgrain elements on both cards are the perfect touch, too! You did an amazing job with these new stamps and dies, JJ...they're all going on to my wish list for sure! Love the modern look. I enjoyed this article. Thanks for the excellent work. Simple and amazing, keep up the great work http://androidspyapp.com/! what a fab card....you are so creative!! Another set I wasn't sure I needed... until now! LOL!